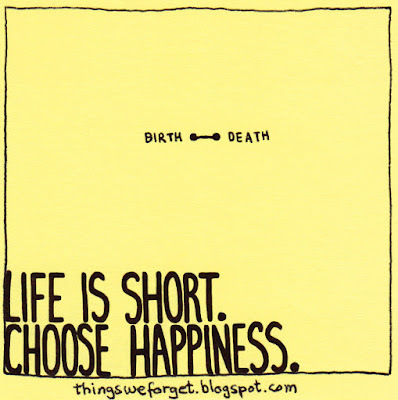 Things We Forget: 1164: Choose happiness. Happiness is an emotional part of our life that we can only feel and share with people. We can boost our happiness through our works and therefore we do things that improve happiness in our life. Choosing happiness is definitely a wise decision and we are trying to increase it with good positive attitude.